A cooking lesson with a professional chef is one of the most relaxing, rewarding and delicious experiences you can enjoy while vacationing in Italy. If Maremma Tuscany is your holiday destination and you are looking for some foodie action in Porto Ercole, you can sign up for a cooking lesson at Dama Dama Restaurant. During the cookery course, you will prepare a complete meal – antipasto (starter), primo (first course), secondo (main course) and dessert – under the expert guidance of the Chefs. 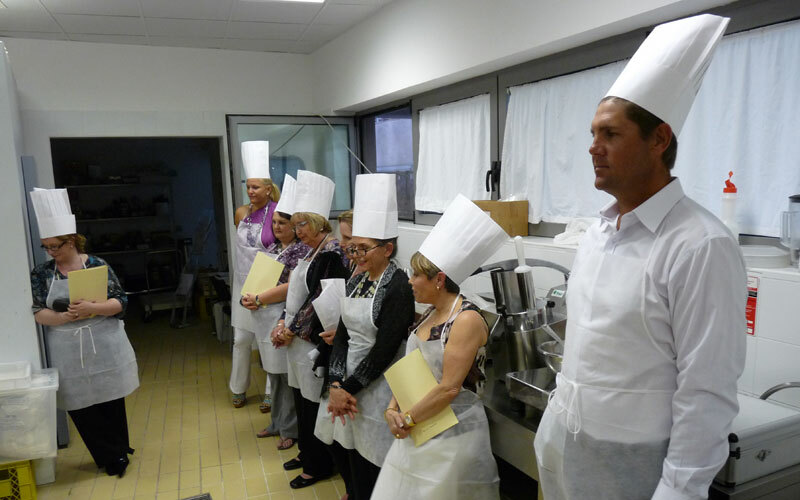 The hands-on course provides a great opportunity for you to learn not only practical techniques, but also tips and anecdotes about the Mediterranean diet and local cuisine from Maremma. Once you get your apron off, you can head from the professional kitchen to the Dama Dama design restaurant. In fact, your gourmet experience continues at the table, where you can enjoy your culinary creations for lunch. This entry was posted in Food and tagged activities, foodie, gastronomy . Bookmark the permalink.